Are older 303's or 404's a good bet for a poor man's race wheel? I'd get a new set.. i bought a used 303 and 404... the 303 has the spokes starting to pull through pretty bad and the 404 cracked in the braking surface... my new vueltas have been good so far! 1500 grams for a wheelset which is 50mm+ isn't too bad at all. I'd go newer, or very little use zipps if you can find a set. When it comes to wheels, I would buy a new set that I could afford. Neuvation has some good deals on 50mm carbon tubulars. I'm saving up for a set if some deals I'm working on don't work out. Also, if you don't mind something heavier. The carbon vueltas that bikeisland.com sells seem like a pretty good deal and people on here have used them via a group buy that got pretty good feedback. wheels take a beating moreso than other parts of a bicycle, getting used is a win some, lose some proposition. I'd be worried about the lose some side of that coin as everyone selling wheels says they're "gently used". check out flashpoint wheels, they're re-badged older design zipps that are a more affordable pricepoint and new w/whatever warranty accompanies them. Used wheels, if you get a good set, are, well, good. But they don't have a warranty or any kind of buyer-reassurance. You can get new wheels (a pair) for about $1k. Williams wheels has almost current Zipp 404 rims on some wheels listed as "Not yet available". But when they are, they're supposed to be $999 (?). Personally I'd get a 404 type profile before I got a 303 type profile. The taller rims are good for some extra top speed, and the weight penalty is minor. Use a box section or lower profile front rim in gusty or super-fast descent conditions. If I were to choose between the two sets listed above, I'd get tubulars, but that's because I already have tubulars. No I don't work for or agreed to promote Williams or Zipp. But I looked at wheels for a few people and I think these are the (current) best deal. 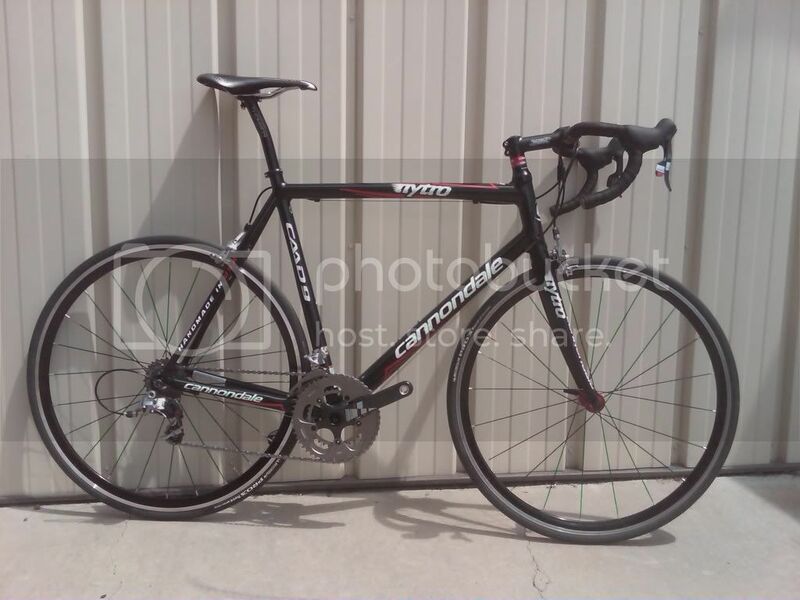 As a "disclaimer" I do have an old 440 I build up late this last summer and I own and train/race on DV46s (tubular and clincher). I think the lower profile of the 46s is a disadvantage - that's why I built the 440. Ideally I'd want to have a 60-70 mm rim height wheel, at under 1400g for tubulars, something like the 404 or the 606s from Storck. For clinchers/training I'd want them heavy, like 1800-2000+ grams, kind of like Flashpoints (or the clincher Williams). Those older Zipp rims cracking were the reason for the stigma surrounding Zipp. Does anyone in the US sell those? Just keep in mind that those have a carbon braking surface if that's an issue. I mean, it is an issue, but you get pads with it. And swapping brake shoes isn't a huge deal. Though, my 'issue' would be that all my backup wheels are Al clinchers, so the stock carbon cork pads wouldn't work on those. The solution? Buy swiss stop yellow pads for races. If you have a backup wheelset with Al rims, then you can swap wheels without penalty. Use the stock pads for training since these would wear faster and are a little pricey. But if you use them only for racing, I'm pretty sure you could get a year out of them. The wheels are also tubular, which is an issue, but I feel if you're going to spend hard earned cash on high zoot wheels, you might as well buy stuff that will be lighter. Tubular tires are expensive as well, which is why these would never be anything more than race only wheels, with possibly a training ride the day before a race so I could get used to riding them again. Carbon braking isn't just an issue of switching pads. If you have raced on carbon rims you know that they pulse and are grabby(edge, new zipp and new reynolds are suppose to be better). The braking isn't ideal in long twisty downhills and horrible in the wet. If you want aero, fairly light and good braking go with an older set of bontrager carbons with the alum. strip or a set of hed jets. Ah yes. I was going to be using mine mostly for crits. I'd swap back to my neuvations for races in the rain or with extended downhills. You make a very important point about the braking that I was overlooking a little bit. I'm pretty light (142 at race weight) and I don't think I would ever run more than a 40 or 50mm wheel in the front since I can already feel the wind blow me around with 27mm rims and I shudder to think what would happen if I had a 60 in the front! I have the option of saving up for a set of carbon tubulars (50mm) or buying a used hed jet60 clincher rear and then finding something for a front later. I'm not really terribly interested in TT's yet, so these wheels would be seeing me through crits and RR's. I figure that with drafting, the effect of a more aero wheelset is pretty negligible isn't it? Current wheelset is 27mm front and rear. Is there any point getting only a deeper rear wheel since I wouldn't want to go deeper than a 40-50 front, and the difference between 27 and 40 isn't all that great. Last edited by ridethecliche; 11-28-08 at 06:54 PM. In my experience with my 404 tubies, braking is pretty much a non issue. I use Zipp carbon pads with the Zipp wheels and Dura Ace pads with my alum wheels. The braking with the Zipps is'nt quite as crisp, but who cares. If you need to brake hard enough to lock your brakes during a road race, something has already gone horribly wrong! Last edited by Mtn Mike; 11-28-08 at 11:09 PM. In my experience with my 404 tubies, braking is pretty much a non issue. I use Zipp carbon pads with the Zipp wheels and Dura Ace pads with my alum wheels. The braking with the Zipps is'nt quite as crisp, but who cares. If you need to brake hard enough to lock your brakes during a road race, something has already good horribly wrong! the zipp pads are horrible! change to swiss stops! Good feedback everyone. Someone asked earlier about me. I am a strong, short burst of power, 200 pounder. I think I'll be back to 190 by spring (I really hope, or else my new speed came with a hefty price). I'll be doing alot of TT's, I am weaker on the road, I love crits. My factory aluminum clinchers are 27mm and 1620g or so. I think I'll eventually be able to get some fairly new dimples. I'll hold out until I find some at a good price and hope for tubies and stuff for Christmas/B-day. If that doesn't pan out, I'll give in and get some 1500g other brands around January. It sure is frustrating to go from working back to school (monetarily speaking). Thanks to all for the input. I'll continue to watch and read. RTC, Every little bit helps and if you're picking up 15 watts, that's a lot if you're in a break or OTF solo. Might make the difference between being caught or not. If you're working with a 280 FTP, that's 5% less power you need. I'd be really careful about used older Zipps. My first 303 purchase were really badly beaten up, and 404's tubulars are pretty fragile, can't speak to the clinchers. A lot of other companies were using Zipp rims, so buyer beware. The 50mm carbon stuff is Gigantex (sp? ), they are heavier but tougher, and usually much cheaper. Best pads for wet braking and carbon rims I've found are the Kool Stop salmon. With Reynolds rims they actually stop in the wet better than aluminum rims. With Zipps they are about the same as aluminum rims. Otherwise I run either the KS dual compound or their straight carbon compound. Both burn up pretty quickly but $10 for a set of pads is worth it when you consider what can happen if you miss a corner or can't stop in time. And a plug for the Token carbon wheels, I used a set for crits last year and not only were they tough as nails (double flatted on gigantic potholes twice and the rims stayed true) but they have very solid braking surfaces and get less pulse than any of the other carbon brands I've ridden. Their pads, once broken in, work really well. I have acquired used Zipp 404's this winter. 1 rim came on a powertap I was going to buy anyway and the rim just "got int he way". It's now clipped off the PT and sitting in the shop. 1 or 2 of the spoke holes look like they might be close to cracking, but I'll keep an eye on them. I bought another 404 tubular laced up front wheel just the other day. It has been delivered, but I haven't checked it out yet. For me....these are definite TT wheels only. A few times a year in TT conditions is just fine for me. The rear is getting a wheel cover. I have a feeling that the front is in better shape so I might start searching out a nice cheap used disc for the rear instead. If I decide I don't like them I might just swap them over to cyclocross duty next fall and ride the crap out of them. I am positive that my box sections held me back while riding the sand and some of the mud. The guys running deep section wheels sliced right through the stuff. woops! I meant to use above quote from psimet2001 and go on to say that I've read other folks on BF say the deep wheels are nice in sand/mud. Still sharpening the PC skills-sorry. I have a set of the older Zipp rims (Neuvation c38s) and have raced them for two years now with no problems. Have hit some pretty nasty potholes and even had to bunny hop over a bike flying across the road during a crit. Is there any point going less than 50mm's for 'aero' wheels? Sure they're about 200 grams lighter, which is great, so they're a little lighter and a little more aero, but isn't the point of aero wheels that the increased depth makes up for a little additional weight in all but the most upward situations?